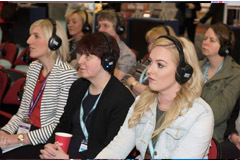 The Conference and Hospitality Show (CHS), one of the UK’s leading events for venue finders, event organisers and PAs, contributes over half a million pounds to the local economy, an economic impact study has found. The independent economic impact study was conducted by the UK Centre for Events Management at Leeds Beckett University and is based on research undertaken at the 2016 show. The study has revealed that the one day annual event brings £566,925 to Leeds and the surrounding area. CHS 2017 will be taking place on Tuesday 4th April at the first direct arena Leeds. 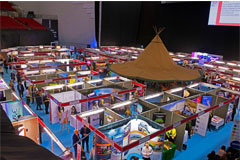 Exhibitors include venues, hotels, technology providers and many other national meeting industry suppliers. Venues confirmed to date include Titanic Hotel Liverpool, Horizon Leeds, Feversham Arms Hotel, Elite Hotels, Lincolnshire Showground and The Lowry Hotel. Groups represented include Q hotels, Marriott and Pride of Britain, and suppliers include Venues.org.uk and Cvent. Running alongside the exhibition is an education programme with sessions designed for event organisers, corporates and PAs.